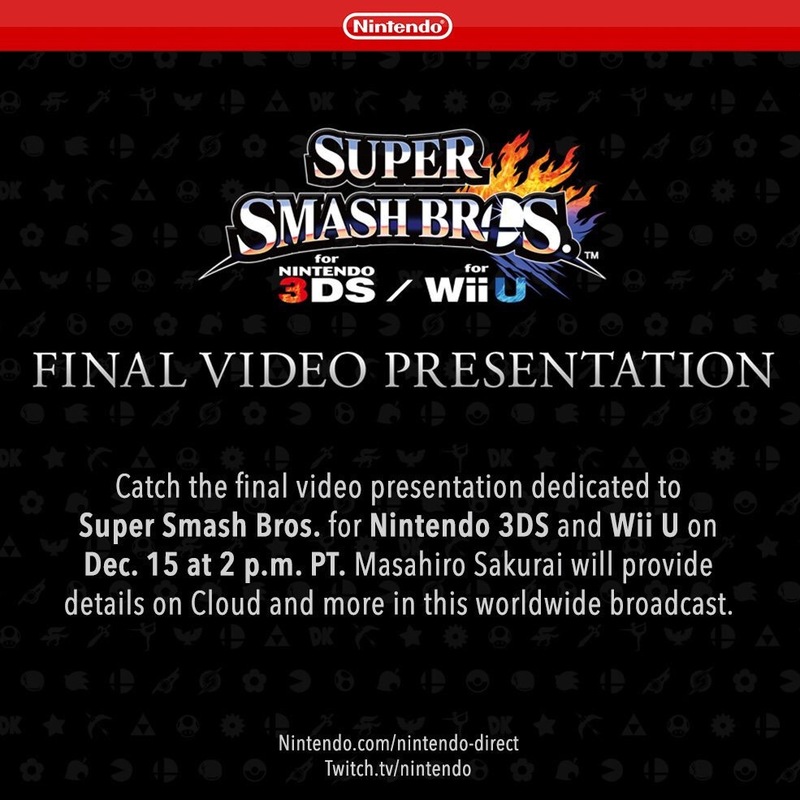 This is going to be the final Nintendo Direct featuring Super Smash Brothers WiiU/3Ds. Tune in tomorrow, December 15th at 2pm PT. to get more info on Cloud and the future of SSB.